Mike Pompeo has urged allied countries to cut ties with Chinese phone giant Huawei while on his European tour on Monday. Speaking in Hungary, Pompeo said it makes it “more difficult” for the US to partner with nations if they don’t distance themselves from Huawei. The US has ratcheted up the pressure on Huawei in recent months, requesting the extradition of CFO Meng Wanzhou, who was arrested in Canada, and charging the firm with stealing trade secrets. US Secretary of State Mike Pompeo has upped the pressure on America’s allies in Europe to cut ties with the Chinese phone giant Huawei, CNN reports. Pompeo, who is currently on a five-country tour of Europe, said the US has a duty to warn other countries away from using Huawei’s equipment to build their networks. 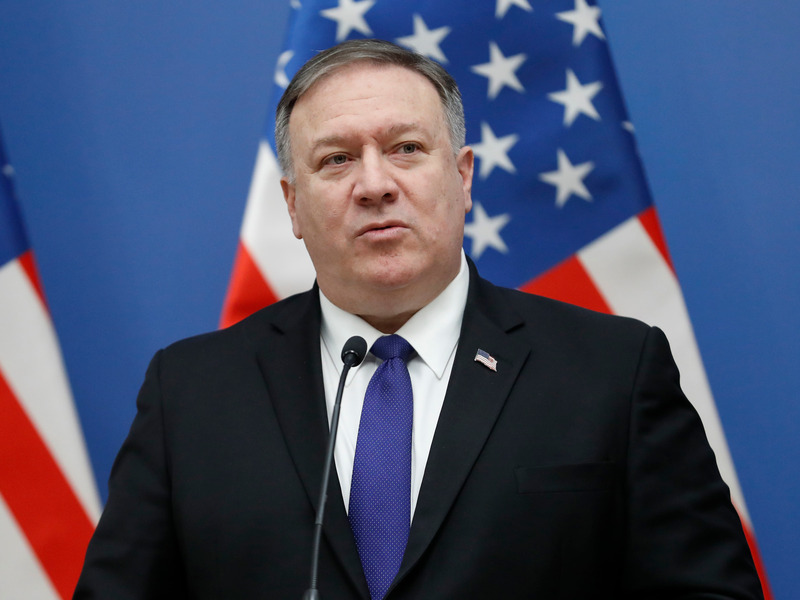 “What’s imperative is that we share with them the things we know about the risks that Huawei’s presence in their networks presents,” Pompeo said, speaking in Budapest, Hungary. “Actual risks to their own people, to the loss of privacy protections for their own people, the risk that China will use this data in a way that is not in the best interest of Hungary,” he added. The US has kept Huawei at arm’s length for a long time. The company’s phones are essentially locked out of the US market, as it suspects that the company could be a backdoor for the Chinese government. More recently, the US has been aggressively lobbying its allies to reject Huawei’s 5G network plans. The US has ratcheted up the pressure on Huawei in recent months against the backdrop of its trade war with China. Huawei’s CFO Meng Wanzhou was arrested in Canada in December and the US formally requested her extradition in January. The US also charged Huawei with trying to steal trade secrets from T-Mobile. Huawei denies any wrongdoing.